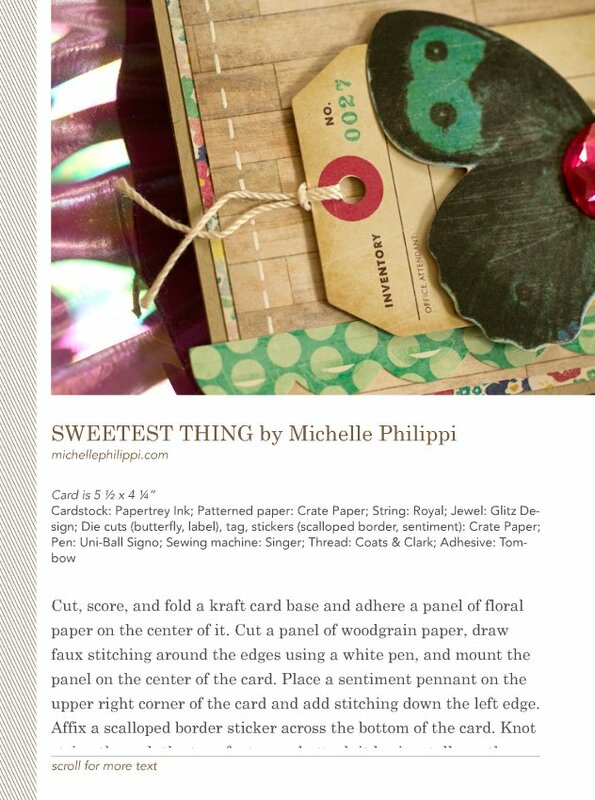 michellephilippi.com» Blog Archive » Sweetest Thing. Posted by Michelle on February 27th, 2014 . Filed under: Cards, Crate Paper, Published Work . Today I’m sharing a card that I had published in the November issue of CARDs magazine. I took a break from creating for “the magazines” for a bit, but now that it’s a new year and things have settled down and I’ve done some decluttering of my life, I am getting back to normal. Normal for me anyway 😉 Thanks for stopping in today. 1 Response to Sweetest Thing. I love this card, Michelle! I can see why it got chosen for publication. 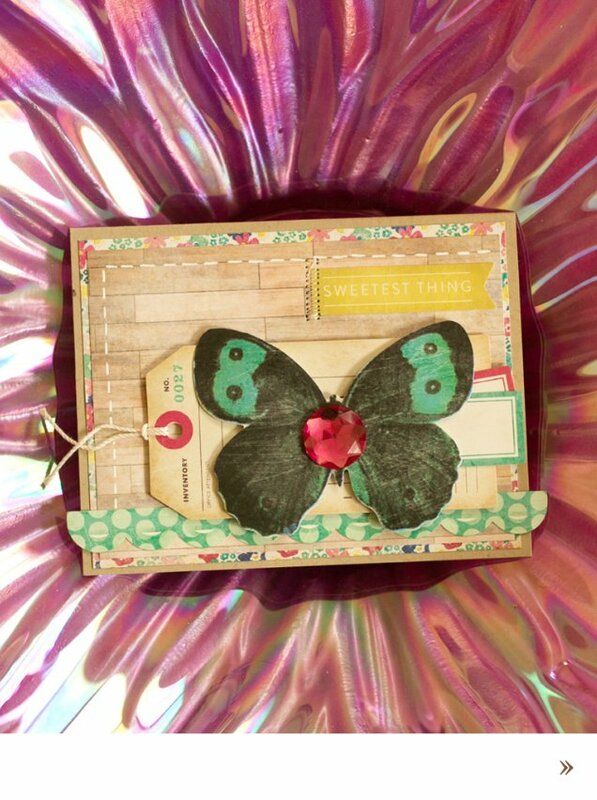 Those crate paper embellishments and papers are superb–I swear that butterfly looks real!